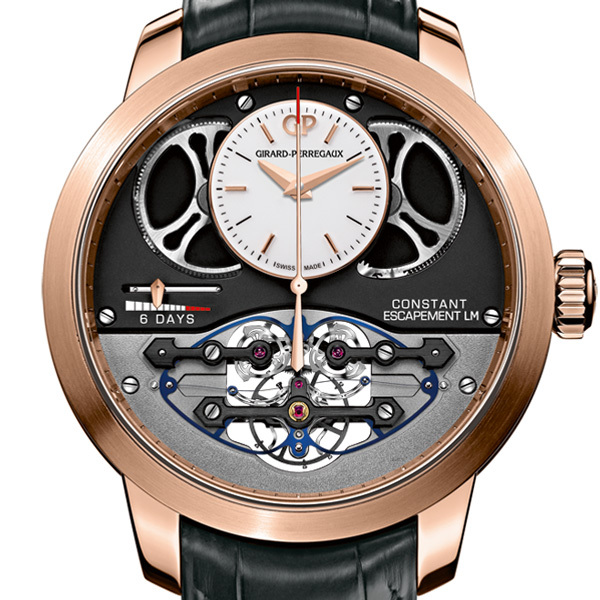 Girard-Perregaux opens a new chapter for its revolutionary Constant Escapement L.M. 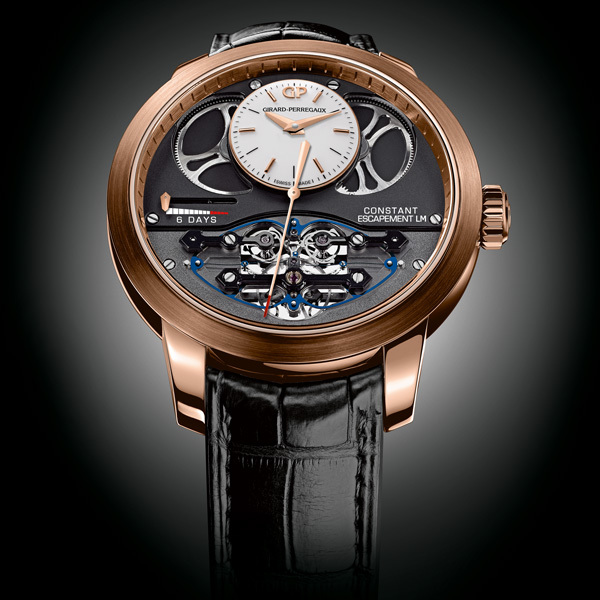 : the Aiguille d’Or award winning timepiece at the 2013 Grand Prix d'Horlogerie de Genève is now available in pink gold. 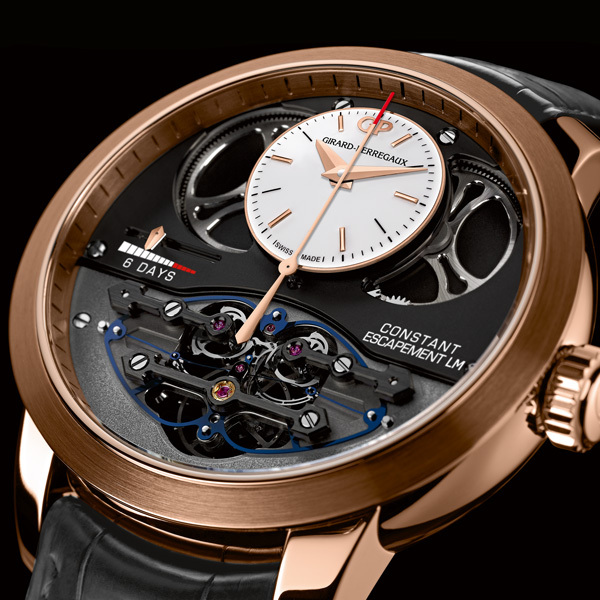 This groundbreaking timepiece is now available in a pink gold case with a softly domed, varnished white dial that exudes timelessness and elegance in every respect. 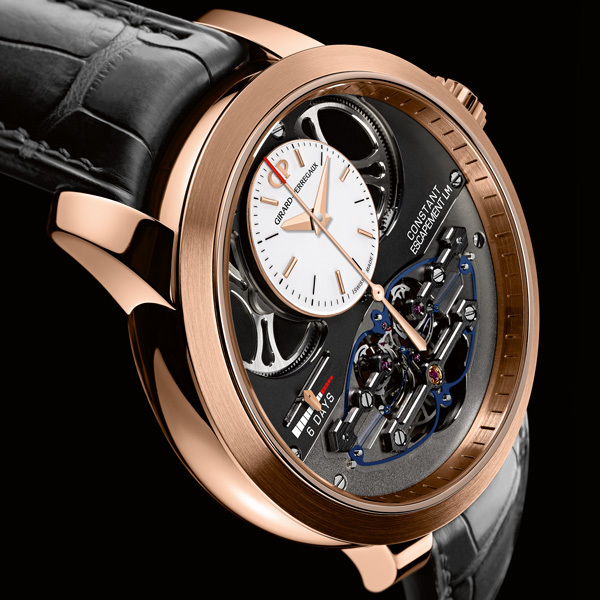 The warm hue of the 18K pink gold version compliments the traditional architecture and intricacies within this masterpiece of watch mechanics. The faceted Dauphine hands and applied hour markers have also been redesigned in the same spirit and color. Despite its 48 mm diameter, the sleek case with softly curved lugs gently hugs the wrist for perfect comfort.